Cettia Beach Resort is 2 minutes walk from the beach. 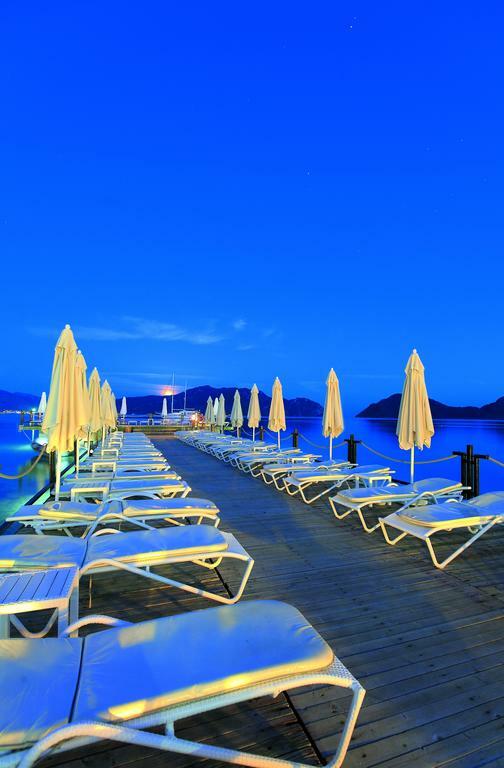 It is located on the beachfront with a private area equipped with sun loungers and parasols. 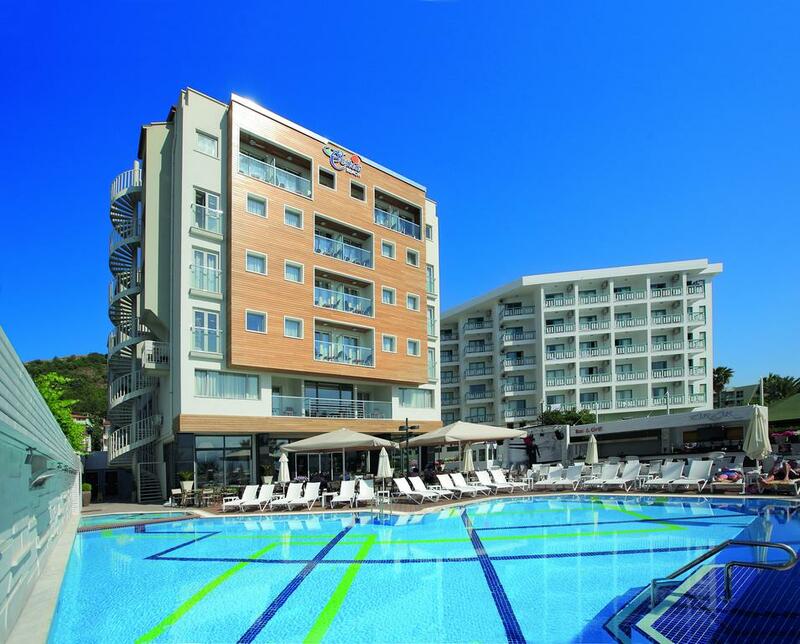 It features a full-service spa, outdoor pool and spectacular views of the Aegean Sea.The stylish rooms of Cettia Beach include air conditioning, flat-screen satellite TV and free Wi-Fi. All rooms have a spacious modern bathroom. The buffet style restaurant serves international cuisine. You can also enjoy snacks and drinks at the pool bar. In the lobby section, you will find complimentary tea & coffee service.The extensive spa centre includes a Turkish bath, sauna, massage rooms and a gym. You can also enjoy the outdoor pool or relax and sun bathe on the private dock at the beach.